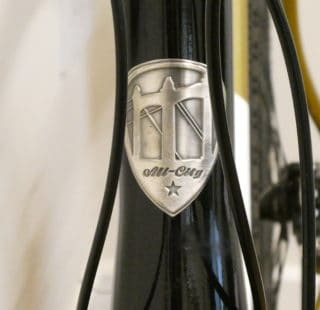 Unless you are an avid fan of Quality Bike Products (QBP) and are familiar with all their brands, chances are that you will never have heard of All-City. Based in Minneapolis they are better known for their trendy track bikes. The brand however, also has a fair range of road and cyclocross bikes in the lineup. The Macho Man has been in the range for a number of years. Originally a geared version of the single-speed Nature Boy, it sprouted disc mounts a couple of years ago. Other than that, the geometry remains the same. It’ll clear a 38c tyre with plenty of room for mud, so not huge by modern gravel bike standards, but massive in cyclocross terms. The frame has a very traditional design. The effortlessly cool, skinny steel tubes, lugged crowns and straight fork blades give it a real retro style. Graphics are minimal and even the fork is steel. The love it or hate it, metal flake paint personally won me over. I loved how in some light it would just look black and in others, the blue and green metallic flecks subtly reflected the light. It’s the ‘pickup test’ where you really get a shock. Maybe this is where it gets its name from. Our size 54 came in at a brawny 24lbs. The tubing is what All-City call ‘612 Select Cro-Mo’ and it isn’t light. If you want a lightweight race machine, look elsewhere. 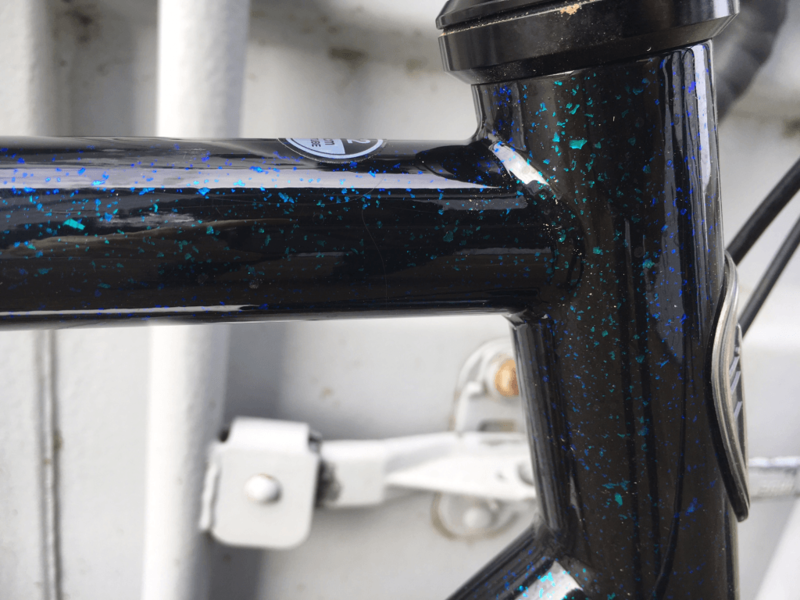 There are reinforced bottle-cage mounts on the down and seat tubes and both the fork and the seatstays have hidden mudguard mounts. Cables are all externally routed, fully enclosed and run along the bottom of the down tube. The simplicity and ease of maintenance this provides makes you wonder why manufacturers ever considered internal routing to be a good thing. What surprised me were those straight bladed steel forks, I was expecting them to be harsh and uncomfortable. Not in the slightest. In fact, the whole bike did that magic steel thing of absorbing the buzz and chatter from the trails. Slender steel tubes make for a classic profile not often seen on modern disc brake frames. Our demo bike came equipped with a mud plugging friendly SRAM Rival 1X setup with a mighty 11-42t rear cassette and 46t front ring. 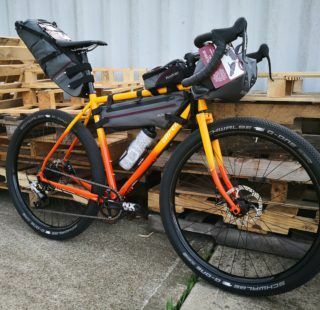 This groupset is becoming increasingly popular on a lot of bike builds now and the MTB range of that rear cassette gives adventure bikes a genuine go almost anywhere capability. That huge range of cogs on the back does come at a price however; it isn’t light and if you want light, then SRAM will happily lighten your wallet even more. TRP Spyre cable operated brakes and a smattering of OE alloy spec components cover all the bases. A set of Halo Vapour Wheels boast Schwalbe G-ONE 35c rubber and a noisy as you like freehub loud enough to wake the neighbours, finish off a basic but perfectly usable spec. According to the All-City website, the Macho Man sports a race geometry. Once up to speed, this becomes clearly apparent and its an enjoyable bike to hustle around corners. The handling is a hoot. But it is the effort of getting up to speed that got me. There is no denying that the Macho Man is held back by a certain reluctance to translate your power into acceleration. The spec we tested does boast a weight penalty and that takes the shine off what is otherwise a really fun bike. Swapping out the wheels for a lightweight set of Hunt 30Carbon hoops did improve the response and put a spring in the Macho Mans step, but the frame still had that hesitance to really spin up to speed. 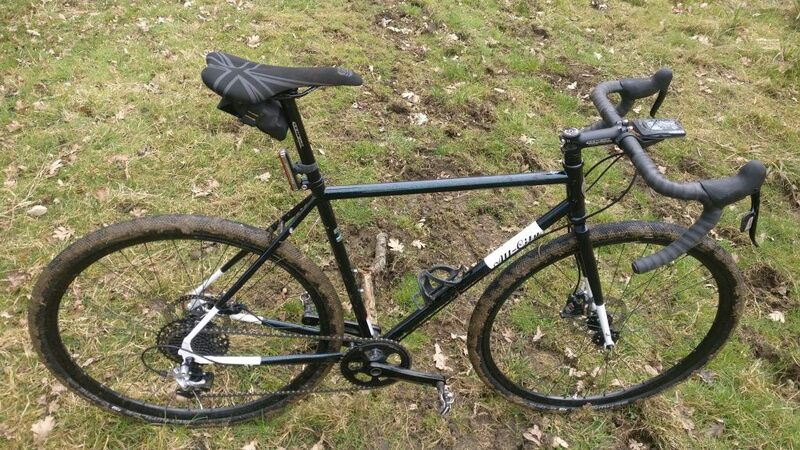 The All-City Macho Man relishes muddy trails, ploughing through terrain where others would get stuck. On the road it is a similar story. With elevation or a tail wind on your side, you get glimpses of how much fun this bike could be. The head and seat angles are akin to racier designs and the steering is direct, certainly not slow and ungainly. The Macho Man aspires to be a whippet, but alas it is a whippet whose owner has given it an indulgent lifestyle. Put all your effort into sprinting and you’ll soon give up as your efforts fail to translate into acceleration. Given a stringent diet of lightweight components, the Macho Man might fly like the whippet it aspires to be. The positive side to its stout build becomes apparent on the trail where it is akin to a runaway bulldozer. It flatly refuses to let anything knock it off its line. 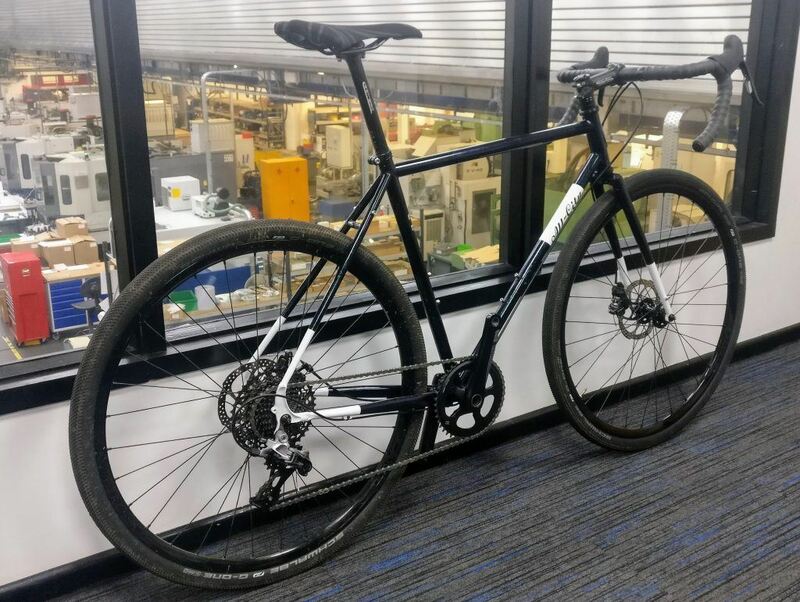 Which is great because it fills you with a level of confidence that you might not necessarily enjoy on a lighter bike which that would probably get pinged off-course on technical terrain. The Macho Man just stays stable and fixed to your line choice. Simply point it where you want to go and it’ll just barge its way down the trail. Audax Mode Engaged: As a road tourer, Macho Man is a comfortable yet sedate method of eating the miles. So as a nimble racer, this All-City is a bit of a non starter. But as a capable and solidly dependable, do-it-all bike, it’ll make a great companion. 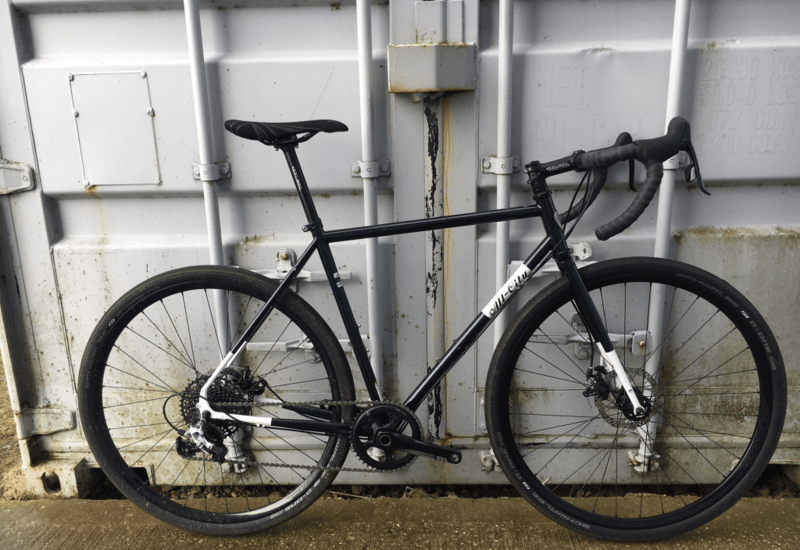 There is plenty of tyre clearance for wide tyres and mudguards so you can set the Macho Man up as a rock solid commuter or go-anywhere tourer. 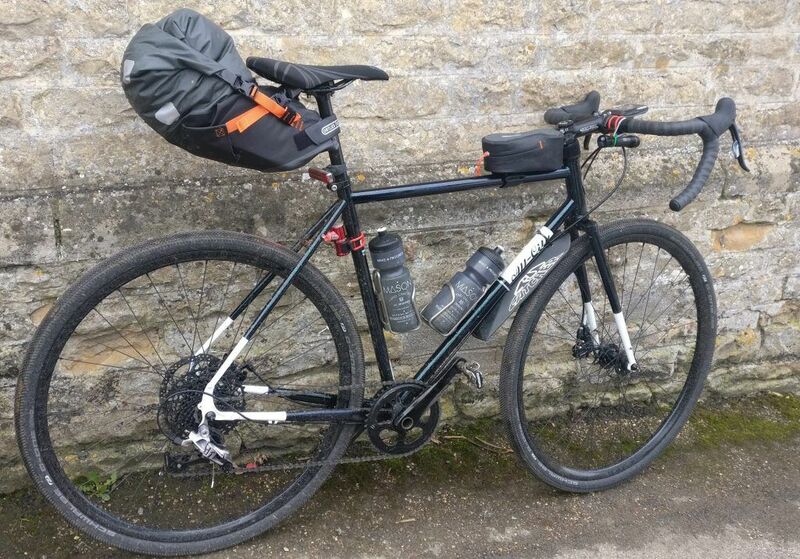 Taking the bike out onto the roads for a 100km audax proved that it is a comfortable and relaxed ride. If you are happy to ride at a sedate pace and not set any speed records, you’ll be fine. A race ready cyclocross bike this is not. 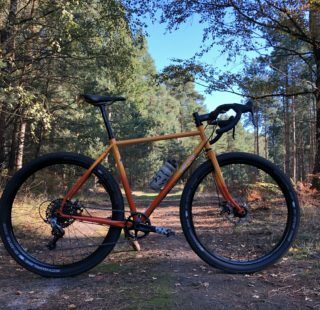 But if you want a beautifully finished steel frame that’ll do everything from taking you to work, touring the countryside or ripping up forest trails, the Macho Man might be the bike for you. The weight is the only downside in an otherwise superb looking bike. Built up with some fancier components to really bring out its true character and it’ll be a real hoot. 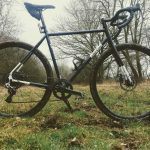 There is a character to the Macho Man that I really warmed to and although I often cursed about its bulk and reluctance to climb, I was still drawn to it when choosing a bike to ride along our local network of bridleways and trails. With it’s steel tubes dampening out the buzz and trail chatter, and it’s ability to tackle anything, I could just get on with the simple pleasure of riding. A steel brute of a bike that once up to speed, really dishes out the fun. If only it were lighter.